Mrs. Bobbie Gregory, 93 of Forrest City, died July 3rd, 2018, at St. Francis Hospital in Memphis, TN. Mrs. Gregory was born To Mr. Waverly Stewart and Mrs. Beulah Watson Stewart, June 21, 1925 in Madison AR. Both parents proceeded her in death. Survivors are daughters, Mrs. Louise Moore of Forrest City and Mrs. Linda D. White of Jonesboro, AR. 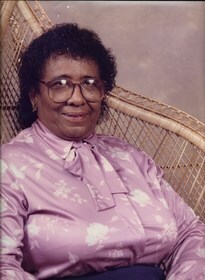 The Funeral Service for Mrs. Bobbie Gregory will be 11:00am Saturday, July 14th, at New Rising Sun MBC,Forrest City, AR. Interment will follow in Casteel Cemetery. The family will receive friends from 2:00pm - 5:00pm, Friday, July 13th, 2018, at CLAY FUNERAL HOME, 2522 East Broadway, Forrest City.